Promote the use of readers for teaching English and Chinese, value the importance of reading and develop independent learning and creativity. Mathematics covers areas such as mental arithmetic, problem-solving and speed calculations. Introduce science in Year 1 to encourage enquiry-based learning. Introduce Moral Education from Year 1, enabling them to understand themselves better and express themselves more effectively. Through this subject, students learn to respect others. Incorporate study field trips into most subjects, consolidating what is learnt in class. Introduce community service from Year 3. 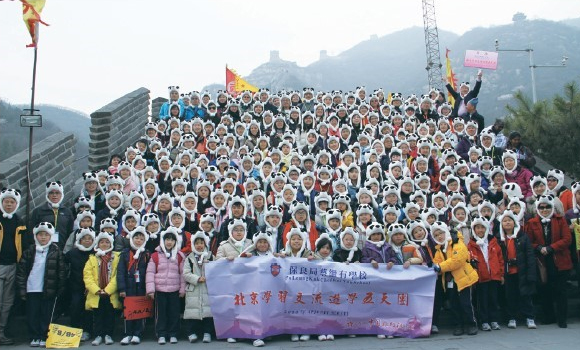 Students in Year 4 or above participate in annual overseas study tours. The curriculum of the Lower Primary Years focuses on developing confidence and an interest for learning. The curriculum of the Upper Primary Years concentrates on equipping them with a bank of knowledge and developing their ability. 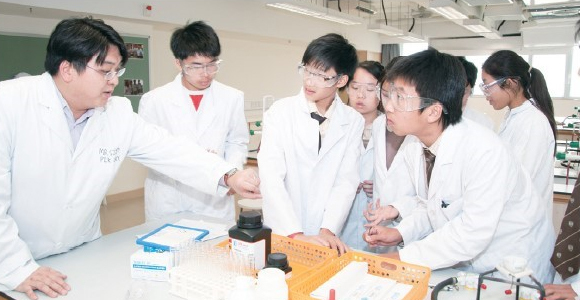 In the Lower Secondary Section, students learn to communicate their ideas effectively and develop an enquiring mind. In the Upper Secondary Section, students learn to be organized, analytical and independent in their studies. In Years 11 and 12, students engage in more theoretical studies. 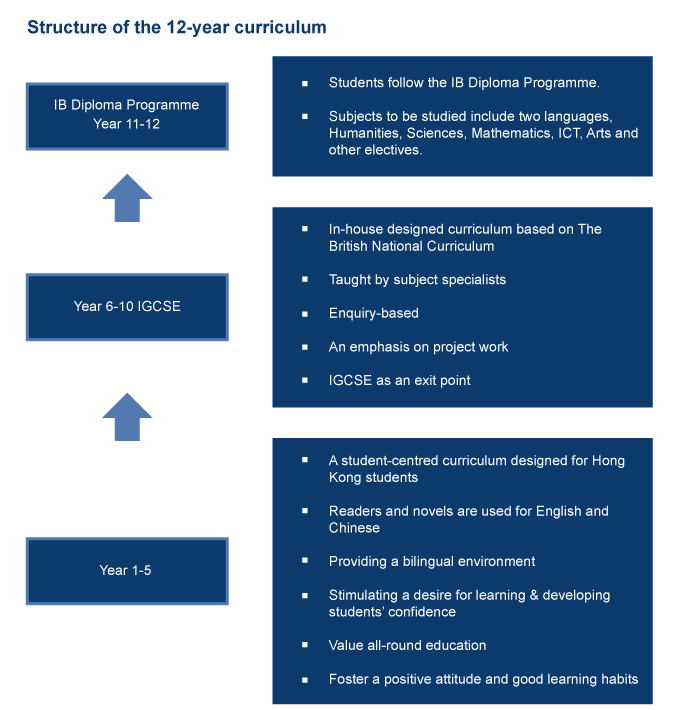 More emphasis will also be placed on enquiry-based learning, critical thinking and reflections.